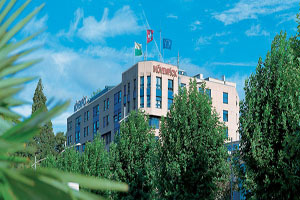 The Mövenpick Hotel Lausanne, Switzerland, has unveiled three new conference rooms and 72 new business rooms following the completion of an extension across six floors of the property. The new rooms feature wi-fi access and workstations, while the three new conference spaces offer space of up to 107 sqm and are interconnecting, with state-of-the-art audio visual equipment. One of the rooms offers access to a roof terrace. The 337-room hotel is located on the shores of Lake Leman.